Through the generosity of Khaled Sinno, a successful alumnus and entrepreneur, AUB announced the establishment of the Raji and Fawzieh Sinno Scholarships and the the Raji and Fawzieh Sinno Promising Leader in Agriculture Awards. The Faculty of Agricultural and Food Sciences (FAFS) Student Services Office will also be named after Raji and Fawzieh Sinno in recognition of a generous donation supporting FAFS student services in perpetuity. The Raji and Fawzieh Sinno Scholarships in Agriculture will fund 10 full scholarships for students over a period of five years. The Raji and Fawzieh Sinno Promising Leader in Agriculture Award will be granted to three high school students who have designed the best projects that aim to improve agricultural practices in Lebanon. 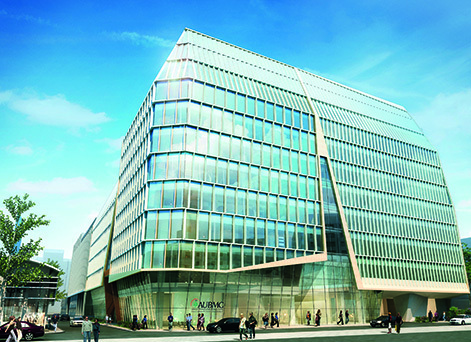 Located on Clemenceau Street, the new four-story facility houses a state-of-the-art PET/CT Unit with its high-tech diagnostic equipment are gifts by AUB alumnus, Mu’taz Sawwaf (B. Arch ’74), a philanthropist and leading construction developer in the region. It is named after his parents, Wassef and Souad Sawwaf. Kamel Abdel Rahman (BS '31 Business) established the Consolidated Contractors Company (CCC), along with friends and former AUB students Said Khoury and Hasib Sabbagh (BA, 1941) in 1952. 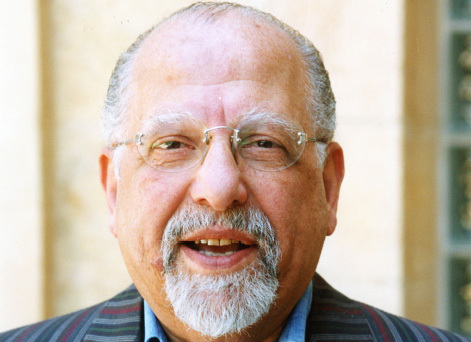 Following his retirement in 1976, Abdel Rahman established the Kamel Abdel Rahman Education Fund to support the university education of needy Palestinian refugee students. 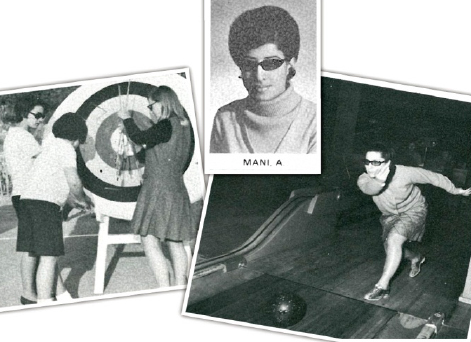 He entrusted two CCC senior employees to manage the Fund on his behalf. Both graduates of AUB, Isam Nubani (BA, 1950 and BSCE, 1951) and Mohamad Hasan Saadi (BE, 1952) decided in 2014, that AUB would be the best institution to manage the Fund in perpetuity. They recognized the University's ongoing commitment to helping financially disadvantaged students and its commitment to excellence in higher education. This extraordinary endowment from Mr. Abdel Rahman will impact so many students, their families, and communities. 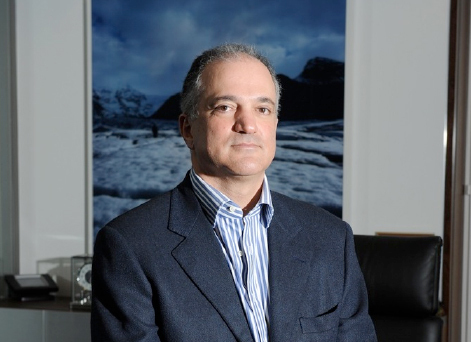 In 2014, AUB received a transformation gift of $32 million from The Levant Foundation, founded by Jamal Daniel. The Levant Foundation works with universities, institutions of fine art, religious and research institutions to support artistic, academic, and educational programs. This gift made possible the construction of the Halim and Aida Daniel Academic and Clinical Center, a 14-story academic and clinical center will be the most modern medical building in Lebanon, housing a variety of outpatient centers as well as major academic centers for teaching and clinical research in areas including psychiatry, oncology, ophthalmology, heart and vascular diseases, and otolaryngology. There will also be an outpatient day surgery and a simulation center for education, as well as a ground floor exhibition area and conference room bearing the name Al-Monitor. 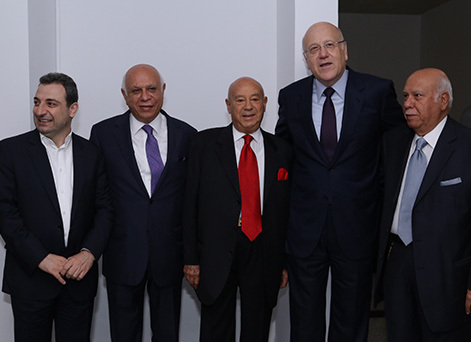 Farouk K. Jabre (BA Economics '58), Trustee Emeritus, and the Director of Director, Holcim Lebanon sal in addition to being the Chairman of the Board of Dar Al Aytam Al Islamyah and Treasurer for Children's Cancer Center of Lebanon (CCCL). Through a generous donation in 2013, the Farouk K. Jabre Center for Arabic and Islamic Science and Philosophy was established. This center showcases Arabic and Islamic legacy in science and philosophy, allowing the younger generations to gain understanding and appreciation of past Arab scholars who established the basis of modern knowledge. 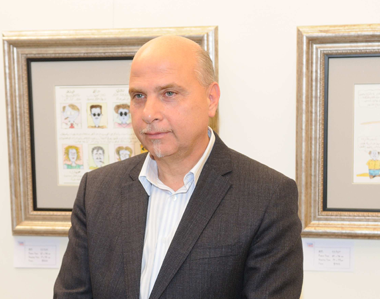 Trustee Phillipe Jabre is the founder and CIO of Jabre Capital Partners and the founder of Association Philippe Jabre, dedicated to providing Lebanese with access to education and health care. In 2004, he established the Philippe Jabre Scholarship, which has helped cover the cost of tuition for some 150 AUB students to date, and enabled 79 AUB graduates to pursue further studies abroad. Unprecedented in the Arab region, Jabre's gift to the Department of Fine Arts and Art History created endowments to support a Professorial Chair in Art History and Curating, an exhibition fund, and a visiting lecturer series. 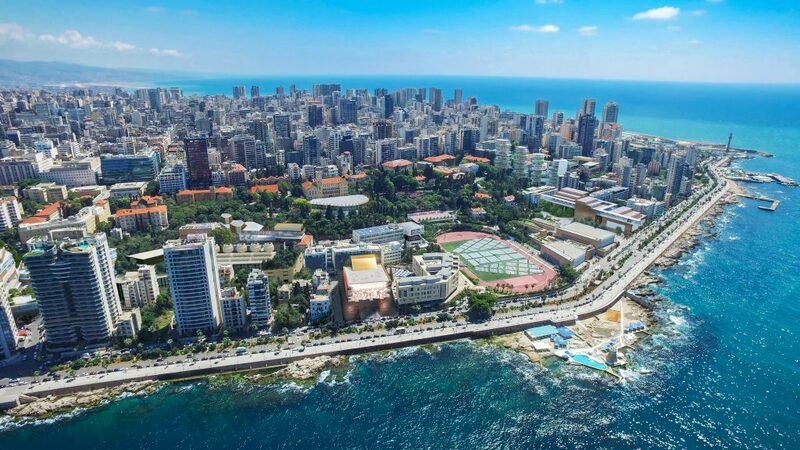 It will help AUB bring some of the world's foremost experts in art history and curating to the University, and to create major exhibitions of works by modern and contemporary artists, with a special focus on art from the region. The gift will also help with research and publication on topics related to interpreting, preserving, and exhibiting art. Dr. Aisha El Mana was the first Saudi woman to obtain a PhD and the first female to become hospital director. She is currently the Director of El Manaa General Hospitals in Saudi Arabia and the President and Founder of Mohammad Al Mana College for Health Sciences (MACH) in Al Khobar, KSA. Keen on empowering women in the Arab world, in 2016 Dr. El Mana donated $2 million dollars to establish the Aisha Al Mana Endowment for Women in Nursing and the Health Sciences. 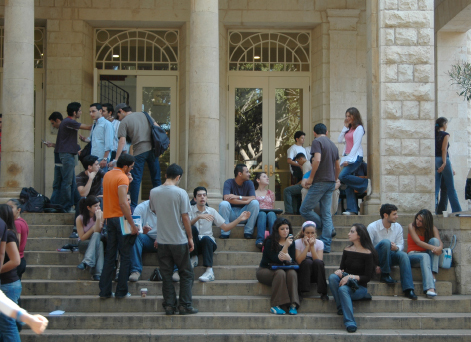 In 2016, Bassatne brothers Adib, Baha, and Walid of BB Energy provided a transformational endowment to the Maroun Semaan Faculty of Engineering and Architecture, which then became the first faculty at AUB to name a department in honor of one of its donors, the Baha and Walid Bassatne Department of Chemical and Petroleum Engineering. This gift provides an opportunity to fund research, scholars, and safeguard our exceptional faculty and great students so that they can teach, learn, and innovate. 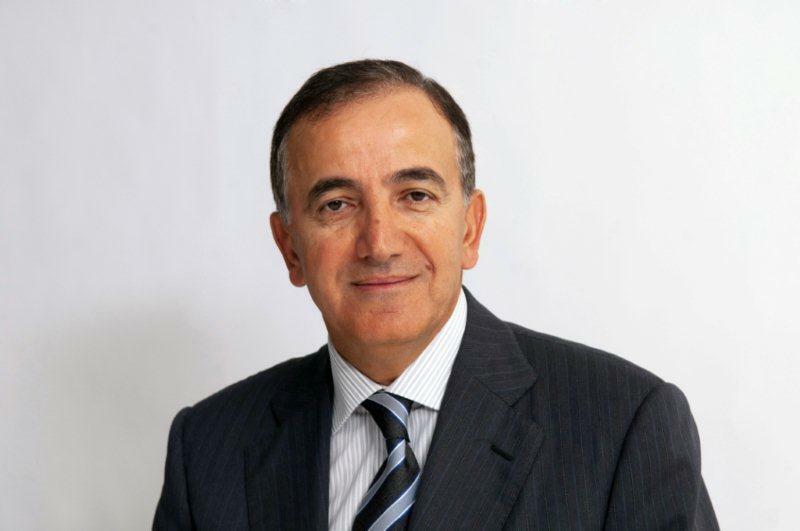 In 2017, AUB named one of its largest and most successful faculties after this visionary partner and friend of the University—The Maroun Semaan Faculty of Engineering and Architecture—following a transformative gift from the Semaan Foundation which is the largest donation ever received by AUB. Maroun Semaan's legacy will live on at this University for his transformative philanthropy and illustrious service. Lead, Innovate, and Serve DONATE NOW! Copyright © 2016 American University of Beirut. By Cleartag.